The most popular game among the many peoples of Kregen is one that resembles chess, called Jikaida. Jikaida is a battle of wits and war game pieces that suited well the tension charged atmosphere that enveloped Dray Prescot. Because reconquering Vallia was assuming the aspect of such a game -- move versus countermove, horde against horde! But Dray Prescot finds himself no longer in control of the game when he becomes a living chessman on a real-life board at the dreaded arena of Jikaida City. There every move is accompanied by bloodshed and behind every game might hang the fate of a city, an island, or even a nation! 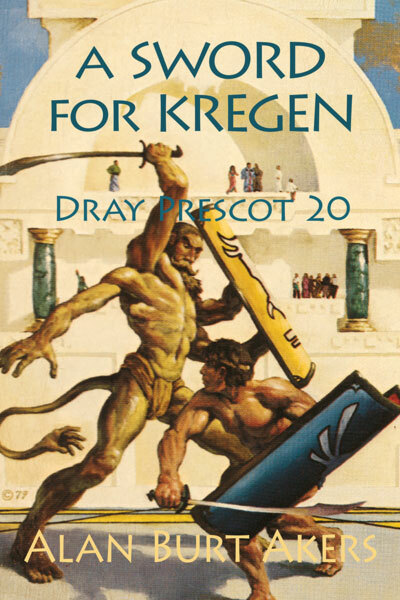 A Sword for Kregen is the twentieth book in the epic fifty-two book saga of Dray Prescot of Earth and of Kregen by Kenneth Bulmer, writing as Alan Burt Akers. The series continues with A Fortune for Kregen. All prices are suggested retail prices. Actual prices are often lower.